SINGAPORE - Singapore is well-placed to continue to be a key node in connecting China with the region in areas of transport, finance and trade, said Senior Minister of State for Finance and Transport Josephine Teo on Monday. Leveraging on Singapore's position at the confluence of major sea and air routes, as well as its role as the second largest offshore yuan centre outside Greater China, Singapore has an "active role" to play in China's "One Belt, One Road" initiative, she said at the inaugural Singapore Regional Business Forum. Singapore businesses can operate out of the country to tap on the growth opportunites in Asean and the broader Asian region. And for those that are already operating in China or elsewhere, they can have the potential to reach further with every new connectivity or new "flow" that the "One Belt, One Road" initiative brings about, she added. The "One Belt, One Road" initiative was proposed by Chinese President Xi Jinping in 2013 with the aim of spurring development through building roads, railroads and other forms of connectivity along a continental route and a maritime route that links 65 countries in three continents. 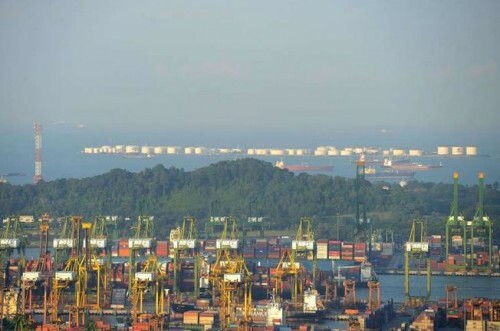 Singapore sits on the sea route dubbed the "21st Century Maritime Silk Road" linking China with the South-east Asian region, South Asia, the Middle East and beyond. But it will take the collective will of all the countries within both the land and sea route to bring the idea to reality, said Mrs Teo. Local governments, businesses and people must not just be given a "token" say in developing such connectivity networks for the initiative to be sustainable. She views the "One Belt, One Road" initiative as "a process of co-creation, where participating countries see themselves as being able to influence the outcome and retain a sense of ownership over the pace and texture of the collaboration". This will usher in a new era of cooperation that will bring benefits to all, she added. Earlier, Professor Tommy Koh, Singapore's Ambassador-at-Large at the Ministry of Foreign Affairs, and Madam Fu Ying, chairman of the Chinese Parliament's Foreign Affairs Committee, also spoke at the forum. Madam Fu Ying pointed out that Singapore can be an important transit point and service provider in this overland and maritime Silk Road initiative. In her speech, she said that Asia-Europe connectivity can now be realised for China has overcome the constraints of insufficient capital, low technology and poor domestic infrastructure after twenty years of rapid development. China has put forward this big intiative not only for further development in China, but also for a higher level of growth in Asia and beyond. She admitted that there are also challenges to to be tackled. "To better promote better understanding, China should listen more to its neighbours," she said, adding that it is important to nurture the comfort level of trust in order for the initiative to be successful.